A fabulous showcase of the State's most wonderful plants, growers and innovative backyard concepts. We love this show and go every year. See you there and pls let us know if you would like us to bring some stock for you. City Chicks attends this fabulous show every year. Address: Various locations around Brisbane operated by BCC libraries & Moreton Bay Libraries. cal, us for dates and times. These are on during the year as part of the BCC and Moreton Bay City Council Sustainable backyard series. 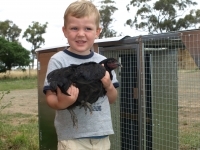 We do talks on backyard Chicken Keeping as well as Keeping Native Bees in the City. Pls email us if you would like to know when we are next presenting. 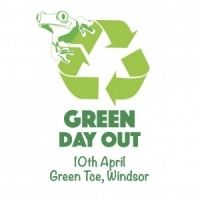 City Chicks has a stall at The Green Day Out (formally Recycle Expo) on Sunday 10th April. Green Day Out promotes sustainable products, education & services, and offers eco-friendly workshops & presentations through out the day. We wqill have some chickens and ducklings on display as well as natural poutlry care items and our wonderful native bees!